maximum efficiency at all times. remote controllers, etc., are available. 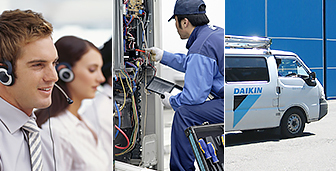 and comfort, Daikin offers these services.